Here is another edition of Scoopfed TV Countdown. Let’s watch the best actions & adventure mobile games for 2018. December is just around the corner. And as the last month of the year comes around, you know what that means for most content creators, right? 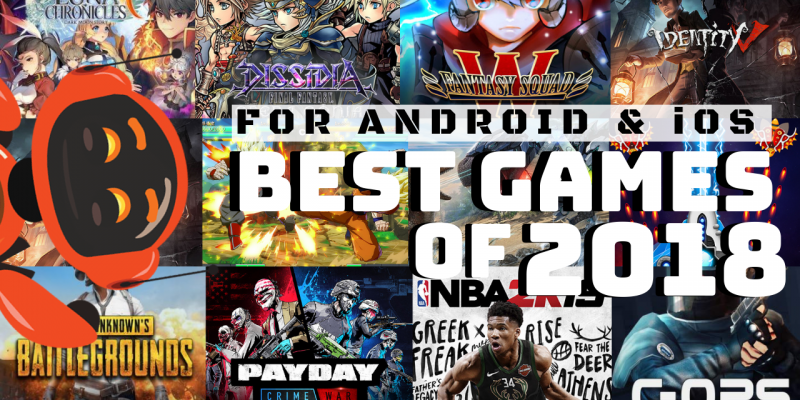 It’s time for a countdown of the best action & adventure mobile games playable on Android and the iOS this 2018. Let’s kick off this list with a game that JRPG fans would love. Luna Chronicles R adds to that already long list of awesome JRPGs piling up in our mobile phones. It’s outstanding graphics and a cool combat system all the way. Although, it doesn’t hold much of an edge like the other games of its kind, and we just think the fanservice is unnecessary, but that doesn’t deter us from saying it’s one of the best games out at January 2018. Square-Enix has its ups and lows, but when it comes to creating one of the greatest fantasy-action RPGs the world’s ever seen, our respect goes to the entire team. I mean, who doesn’t hold a sliver of adoration for the Dissidia — the sub-franchise of the Final Fantasy games? For mobile devices, Dissidia Final Fantasy Opera Omnia brings all your favorite Final Fantasy protagonists and antagonists together in a fight for the cosmos. Cloud’s a favorite, Terra and the others are classics. Even Noctis is around to join the fun! Nuff said. We’re keeping up with the fantasy feels. It’s Fantasy Squad: W. Yet again, one of the many epic RPGs available on Android. Anime style characters fit right into the genre, and represent classic designs.Semi-automatic combat makes for simple gameplay, but what makes it stand out in March is its great cast of characters that you’ll get to meet along your journey. It’s interesting situations and hours of worthwhile gameplay. It can’t get more intense than a game of cat and mouse inside a closed-off manor. It’s two hunters versus eight survivors. Welcome to Identity V — the first asymmetrical horror mobile game developed NetEase. Travel back to the Victorian era with its striking gothic art style, mysterious storylines, and exciting one versus four gameplay. Come May, it’s yet another game developed by Japanese developers. The use and the popularity of the Dragon Ball license have reached unimaginable heights. In the world of video games alone, the number of franchises can’t be summed up in two hands. Based on the work of Akira Toriyama, we’d dare say it’s one of the best games based on Anime to exist on Android. June, the summer of 2018, kicks off with ARK: Survival Evolved. It’s a game that it’s fans have waited for so long — a year to be exact. The action-adventure survival game arrived on Android and iOS, bringing with it the thrills of surviving in a prehistoric world. Luckily, you can find all the guns, ammo, and tools you need in this hostile virtual world. The heat of summer, July 2018, gets hotter with Galaxy Attack on steroids. Galaxy Warrior — July’s shoot ’em up a game with absolutely gorgeous graphics. The game is complete with frightening boss battles. Definitely takes us back to the days when Space Impact on Nokia was a thing. Yes, we’re that old. Eighth on the list, August 2018 gives us, PUBG! PUBG has joined the world of slimmed down versions with PUBG Mobile Lite. It’s a perfect fit for less powerful devices, but the experience pretty much stays the same. Play with gamers from all over the world with this Battle Royale system. Fight your way to the top in your quest for unmatched supremacy. September ushered in cops and robbers to a whole new level. Right from the schoolyard, now it’s on video game consoles. It’s a competitive team experience you don’t want to miss when the full game comes out. It’s in beta mode, but we can’t wait for the day when Payday: Crime War has as all immersed in this throw-down between the cops and the robbers. And of course, what basketball lover doesn’t enjoy playing some NBA on their mobile phone? October: NBA 2K19 is the simplified version of the console variant. But that doesn’t mean it’s inferior to the console ones. It has decent graphics on a mobile device and a modern and fun soundtrack you can jive to — when you’re not playing of course, which you are. Still, despite the slightly clunky controls, it’s still slighted to be one of the best basketball games on mobile this year. As winter begins, November 2018 brings in the full version of Critical Ops. The multiplayer first-person shooter video game developed by Critical Force has hit our smartphones. Experience action games like never before — where fast reflexes and tactical skills are essential to success. It’s competitive combat through awesome maps and challenging game modes. What more could we ask for? What’s your favorite mobile game that came out this year? Tell us in the comments section below. And don’t forget to leave a like on this video if you enjoyed it. Tap that bell icon and subscribe to Scoopfed TV for future uploads and more awesome content. Thanks for watching! We’ll catch ya next time! See more amazing game discoveries here.